The annual Blues Festival is Chicago's biggest music festival, and the largest one in the entire world to not charge an admission fee. Attendees number in the hundreds of thousands. 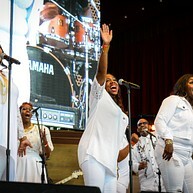 Bringing together the traditional and modern takes on the gospel genre rooted in Chicago's history, the Gospel Music Festival features performers from across the nation. Admission is free of charge. 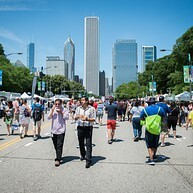 A grand-scale happening showcasing all Chicago's vibrant dining scene has to offer, with live music and entertainment to go along. A Labour Day weekend celebration of the jazz genre featuring performers from all across the nation. 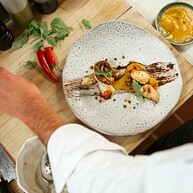 A celebration of all things food, Chicago Gourmet features lectures and workshops by prominent chefs, seminars on wine and mixology, VIP culinary experiences, and delightful tastings. 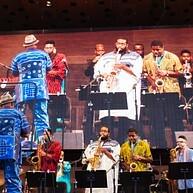 The United States' largest and longest-lasting international music festival takes place in Chicago, introducing guests and city residents to music genres and instruments from all across the globe. Events take place at venues across the city. With up to 45,000 yearly participants, the Chicago Marathon is among the global six World Marathon Majors. The Chicago International Film Festival brings motion pictures from the across the world (and the state of Illinois) to the Windy City, showcasing the best of the world's cinematographic endeavor within a space of 2 exciting weeks. 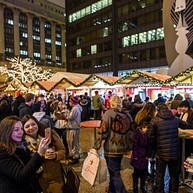 Following the European (German) tradition of open-air Christmas markets, Chicago now boasts one of its own, with an additional location in Naperville. 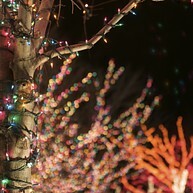 Zoo grounds come to life every year around the Christmas holiday season, with spectacular light displays and shows, as well as entertainment for the whole family.